Brian posted his latest attempts at reproducing some of the various in-camera film styles for the Fuji X-Trans models today. There are new Iridient Developer presets for the Standard/Provia, Vivid/Velvia and Soft/Astia film styles plus a new “neutral” preset based on producing as close to a colorimetrically accurate profile as possible using color reference chart measurements. It’s in stock also, for the full price, at Adorama. X20 discontinued at B&H… X30 (with sensor bigger than 1“) on the way? These days, all eyes are set (deservedly) on the umpteenth version of Sony’s RX100, the RX100MIII. It’s crazy how frenetically Sony updates its products (see also the Sony A7-R-K-S). That’s not really the same policy of Fuji. The X-PRO1 is about 2 ½ years old, and still hasn’t been replaced. And of the 13 X-cameras currently available, only 4 were replaced by newer models in about 3 years (X10=X20, XF1=XQ1, X-E1=X-E2, X100=X100S). Fujifilm seems to focus more on firmware updates to improve the performance of older cameras. This Kaizen philosophy might be bad for electronic imaging field of the company (which is still losing money), but it’s definitely good for us customers. Now, one of the next cameras that could be replaced in foreseeable future is the X20. The X30 is rumored to come in “summer”, and, as the usually well informed xjrumo said months ago, the sensor will be bigger than the 1” sensor of the RX100III. Another hint that the X30 could be in the pipeline: the silver X20 is already discontinued at BHphoto… and US stores that have some left in stock, are selling it now with a $50 price drop. Check it out at AmazonUS / BHphoto / Adorama / Pictureline. So the question is, if it’s better to launch an X-PRO1S/T/N or whatever, instead of waiting 3 years for the “major breakthrough” promised by Fuji with the X-PRO2. The XF 56mm review of photozone can be read here. “The rendering of the bokeh is impressive thanks to a smooth blur and good out-of-focus highlights. There is, of course, some bokeh fringing but that’s true for the vast majority of lenses in this aperture class. 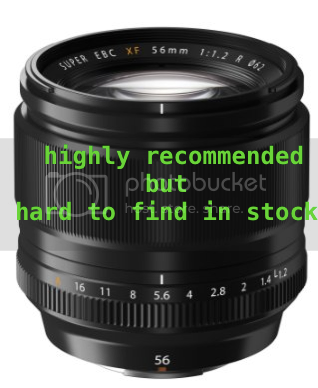 The build quality of the XF 56mm f/1.2 R is very high and as such in line with the other Fujinon XF lenses. It is mostly made of metal and precisely assembled although we miss a weather sealing which should be standard at this price point. The AF is pretty fast on the X-T1 although the combo is still stays a little short of what we can experience on similar DSLRs-based combos. The Carl Zeiss Touit Makro Planar 2.8/50mm T* Review of photographblog can be read here. “The Carl Zeiss Touit Makro Planar 2.8/50mm T* is the only lens in the Fujifilm X-Mount and Sony E-Mount ranges that offers true 1:1 maximum reproduction, so it’s something of an essential purchase if you absolutely require that feature, especially as it delivers superb image quality with lovely bokeh. The IN (X-T1) & OUT (XF 56mm) of stock X-gear check! 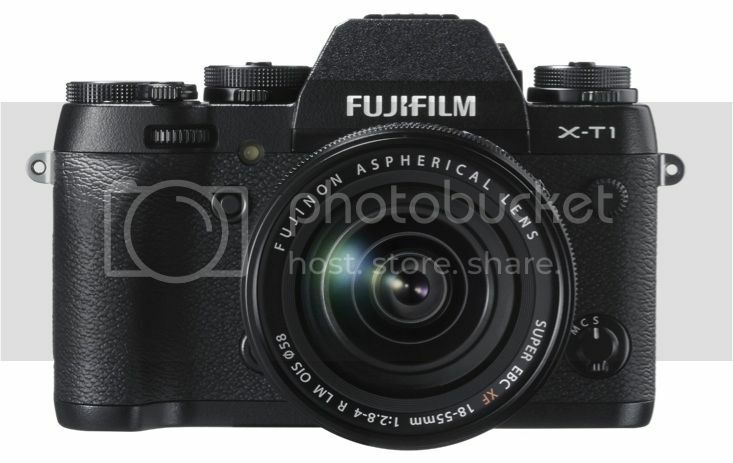 And finally, after several months the X-T1, body and kit, is in stock everywhere! But there is still some X-gear hard to find on the market. So here is an overview of what’s available at the moment in the USA.